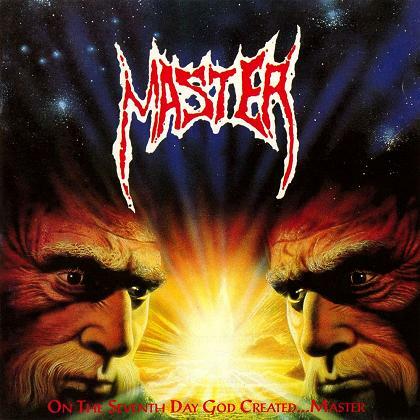 Death Metal Underground: Riff Analysis: Master – "What Kind of God"
The riff is entirely tremolo picked in a cadenced manner with no shifting rhythmic accents or any other methods that would make the music more accessible by making the music easier to dance to by playing with expectation on the beat. The root note is the not the open low string that one would associate with such music but is shifted up a tone in contrast to the opening section which is just a barrage of open note power chords. The root note is held down for a whole bar establishing its presence. This signifies the composition starting from pure unfiltered anger to channeled and controlled agression. 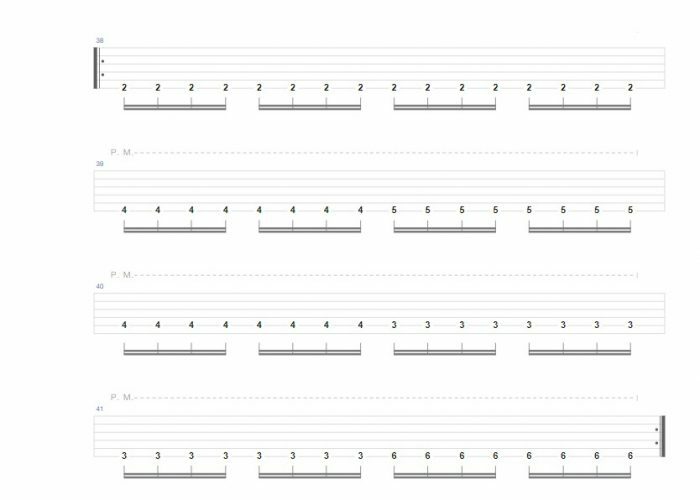 the song then goes through the following three notes of the natural minor scale in order which had been done many times at this point in metal and would still be exploited to this day. The listener subconsciously expects either a return to the root note or an augmented fifth but is taken by surprise when a violent diminished fifth is unleashed, shattering any hopes of perfect resolution by transitioning to an even more ferocious minor second and then finishing on a major third which is a form of compromise between not resolving the melody and resolving it, simultaneously giving the listener some form of finality but also allowing for the riff to maintain its momentum by not shutting itself off and allowing for dialogue with the following sections. The natural minor scale has been violated as Speckmann and Co impose their own logic upon established norms. Let us divide the riff into two equal segments and focus on the second segment starting on the third bar. Knowing that the first half is completely contained within the confines of the natural minor scale and the second half completely escapes from it. What we have here is almost atonal as all the notes are related to each other by a minor third except for the second grouping of notes. If all the notes are equidistant in relation to the number of semitones dividing them then there is no method of discerning the root note, but Master probably did not think of such concepts when conceiving this idea. The atonality cut up by one chromatic note gives this motif a strong sense of cold emotionless power. When combining the two segments: the emotional and sorrowful minor scale segment and the destructive second part, Master create the ultimate idea that carries out throughout the majority of this simple composition and conveys effectively the combination of sadness and anger that the narrator feels towards the failures of a God that is supposedly benign. Such an easy riff to play that has a fairly restrained palette of notes but through the combination of two intuitive ideas, Master create the perfect opening song for a truly transcendental album.